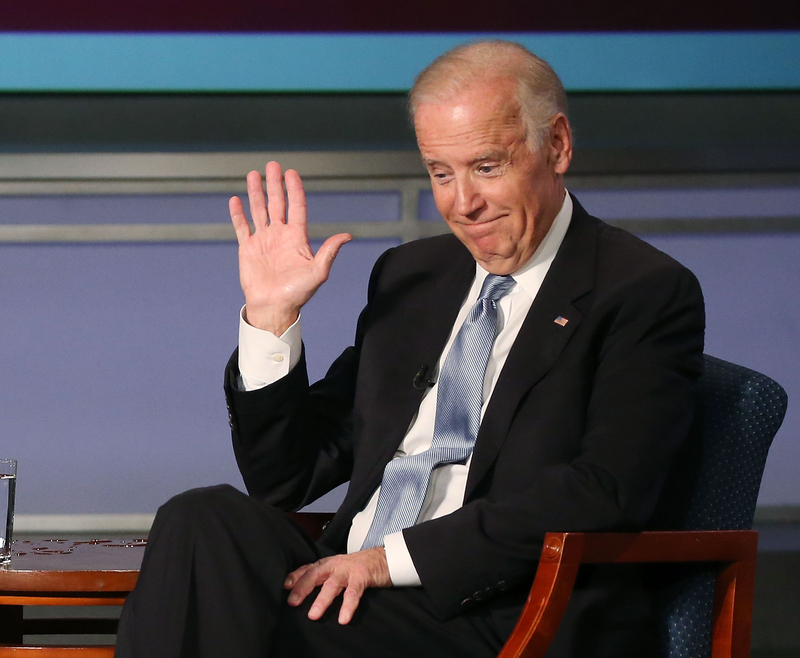 Well, it's official – Vice President Joe Biden will not be making a run for the Democratic nominee for the 2016 election. This announcement must come as a disappointment to Democrats who are not thrilled with any of the current candidates representing their party, and is a bit of a pity all around, because Biden is a pretty funny guy, and politics always need a little comedic relief. Biden is known around Washington for being off-the-cuff and often blunder-prone in his demeanor, which is potentially worrisome for the Obama administration, but they give Biden a very down-to-earth and approachable presence, two qualities that are arguably lacking from the party's current frontrunners Hillary Clinton and Bernie Sanders. It's true, the campaign trail will be missing some fun without Biden. Biden is most definitely an imperfect public figure, but for this reason he would have added a level of entertainment to the campaign that we probably won't get a taste of now that we know Biden won't be joining the race. Here is a list of a few things that nobody but Biden could bring to the campaign trail and will be sorely missed while he stays put in Washington. Joe Biden loves ice cream! And I love pictures of Joe Biden with ice cream! This will be an ice-cream-less campaign without Biden's presence. Another of Biden's quirks is that he loves to give shoulder rubs and touch peoples' shoulders in general. I fear there will be no Buster Bluth-style embraces this campaign season without Biden around. The Jeb! campaign logo employed by Jeb Bush could have been fodder for some pretty excellent Joe! memes. It seems like a real missed opportunity. The V.P. is from Scranton, so I really think we could have had a Michael Scott endorsement and campaign ads with the theme from The Office playing in the background. Nobody else in the running can pull this off! A Biden campaign would have been pure gold for the Jill Biden parody Twitter. The comedic genius would have come from this account with Biden on the road can only exist in our imaginations. I had pictured a touring campaign bus that said "Ridin' for Biden!" on the side. My dreams are crushed.